Cheerful Team with Happy Life! In order to get stress relief, MOFLON Company organized a great activity. 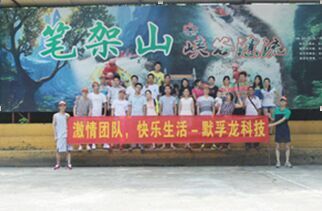 The human resources especially organized all technical engineers to Bijia mountain of Ising-yune for a relaxing drift! After this activity, all technical engineers are working more passionate. Cheerful team with happy life! Pri: Long-term Customers from India Visiting Moflon Company! Next Moflon Company Attending the CWP in Beijing!